Puma has released their latest colorway in the evoTOUCH Pro series, matching up a fresh White leather upper with slick Blue detailing. It is a slick look that takes two of the most popular colors and adds them to a silo designed to disrupt the conventional leather boot scene. Featuring an allover white leather upper with a contrasting knitted blue sock and PUMA Form Stripe, the evoTOUCH boasts a sleek look and authentic style without compromising on top-level performance. 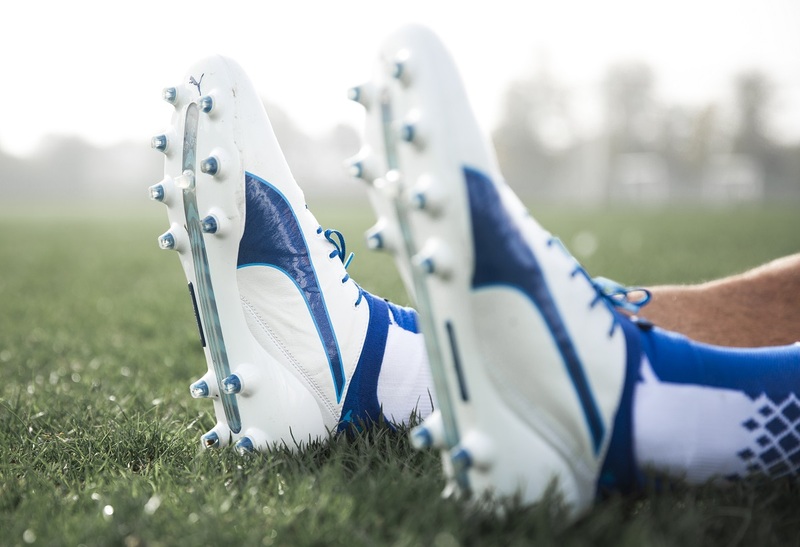 Taking the concept of touch from the inside out rather than starting with the moment of contact with the ball, the PUMA evoTOUCH silo has a unique construction. 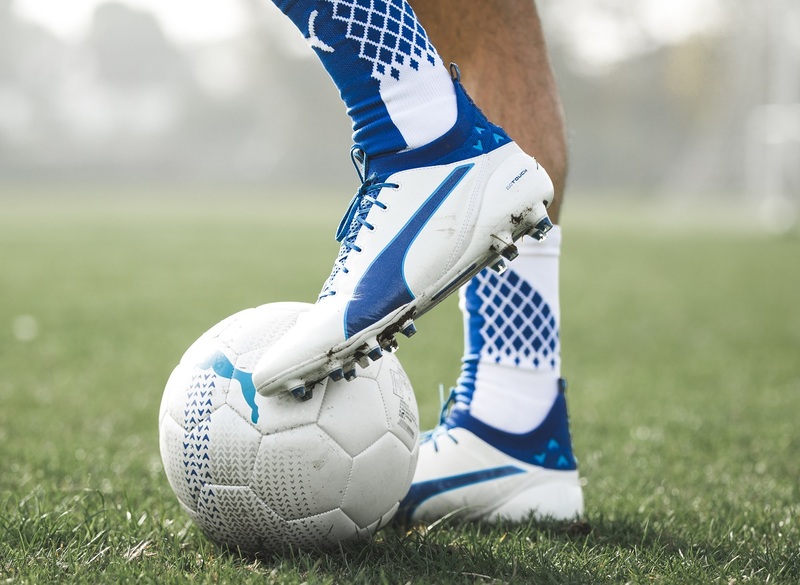 The result is a boot that enhances and encourages the creative playmaking that puts PUMA players at the top of their game. Constructed with a super soft, ultra-thin and lightweight leather upper, the foot is closer to the ball creating an exceptional touch in all conditions. The integrated, form-fitting evoKNIT sock gives a snug fit and barefoot feel, while the anti-slip GripTex arrow pattern inside the sock locks down the foot to prevent slipping. Touch and comfort combine with midfoot stability, supported by the new outsole with a raised SPEEDTRACK spine. 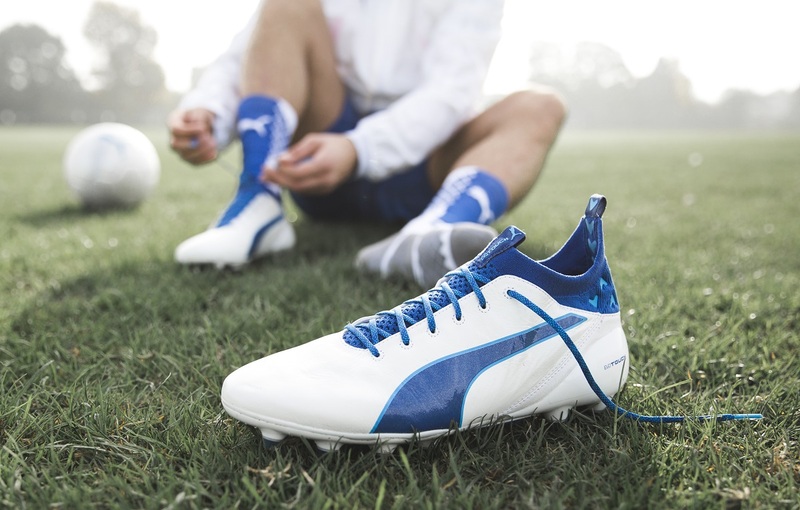 Check our Puma evoTOUCH Pro review for more performance details. The evoTOUCH has not only revolutionised my game, but it has kept me comfortable without compromising my style on the pitch. I prefer to play and train in a leather boot but I also want something innovative and high-tech so the evoTOUCH is the perfect combination for me in terms of touch, fit, grip and stability. For those that want to experience evoTOUCH, find them at soccer.com.